Pair of porta palma pricket bases, of carved giltwood; each having urn from with oversized scrolling handles, raised on graduated round foot, custom half-shades. CONDITION: Excellent antique condition. Minor wear consistent with age and use. Slight wear to shades. 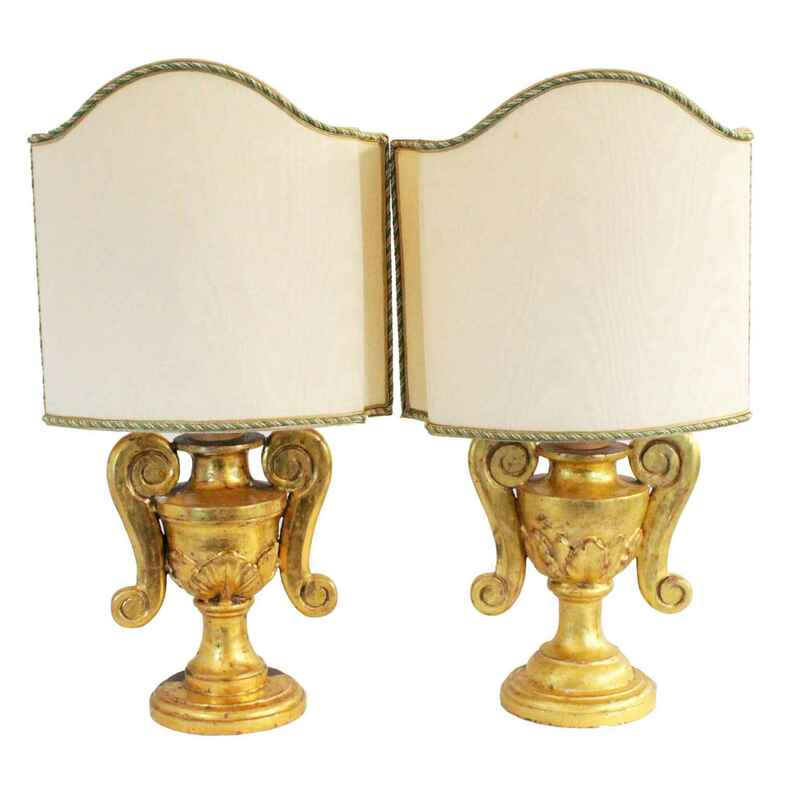 Pair of porta palma pricket bases, of carved giltwood; each having urn from with oversized scrolling handles, raised on graduated round foot, custom half-shades. CONDITION: Excellent antique condition. Minor wear consistent with age and use. Slight wear to shades.